Days are Even Sweeter with Sweet Treats from Bakerzin. Wednesday | February 15, 2017	Days are even brighter and sweeter on your birthday month! 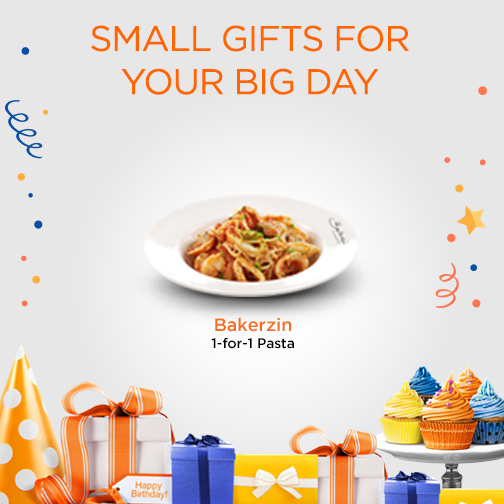 To redeem, simply present your mobile with M1 logo and I/C during your birthday month, You are on your way to a set of 1 for 1 Pasta from Bakerzin! You have just another one more reason to celebrate your birthday! Terms & Conditions apply.